I've been in awe of Karen Mabon and her beautiful silk designs for a long time, so to be able to photograph her collection for none other than Buckingham Palace (the actual Buckingham Palace, with the Queen in it) was just a dream. 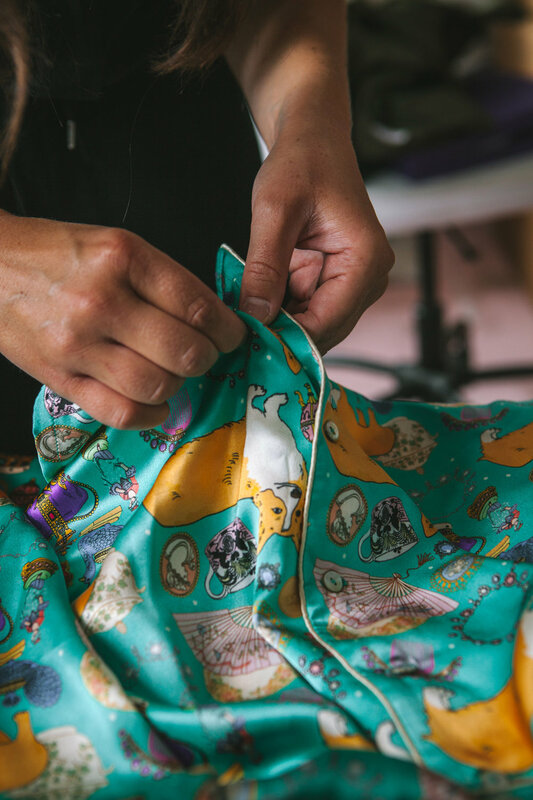 You can find out more about Karen's design process for the collection, along with some more photos from inside her studio, over on her website. Shop the items online at royalcollectionshop.co.uk.